Stavanger is a pretty small city (120 000 inhabitants in the region) yet I find myself amazed at how much there is to do and see in the area. 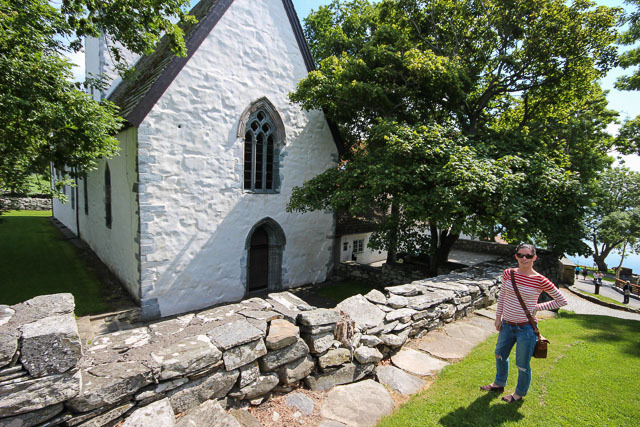 People often assume you need to be in a big metropolis for a variety of sites and activities and while Stavanger may not be London or Hong Kong, it really does have a lot to offer even if you have to look a little harder for it. Utstein Monastery has been on my to-do list for quite some time but it just never seemed to cross our minds when we were hanging out around here on a weekend. 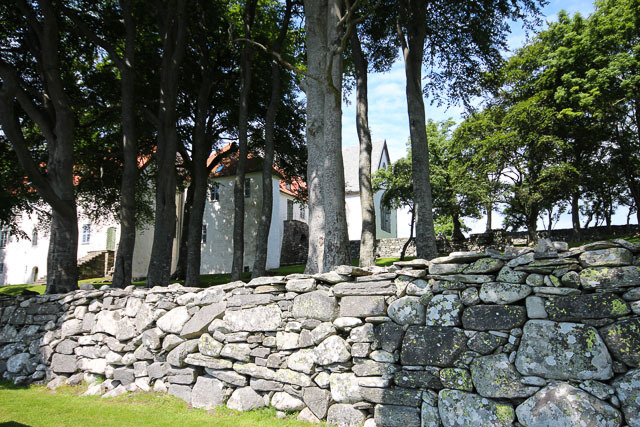 In fact, the opening hours outside of the summer season are quite limited and the 30 minute drive from Stavanger means you have to be at least somewhat organised to visit. But, with my parents in town and a free Sunday on the horizon, we made the trek. 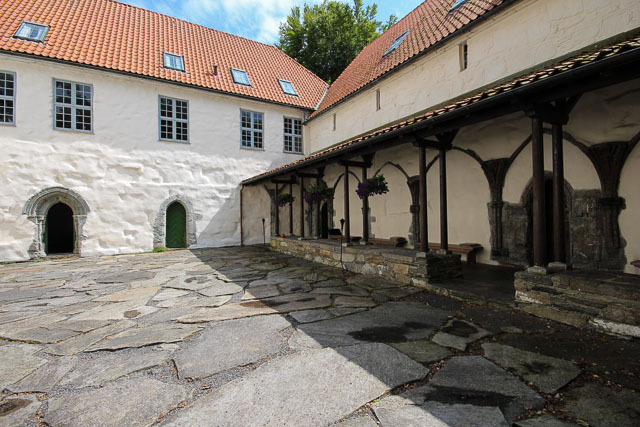 The Monastery was first mentioned in historical records in the 9th century but the building of the site that we see today started around 1260. 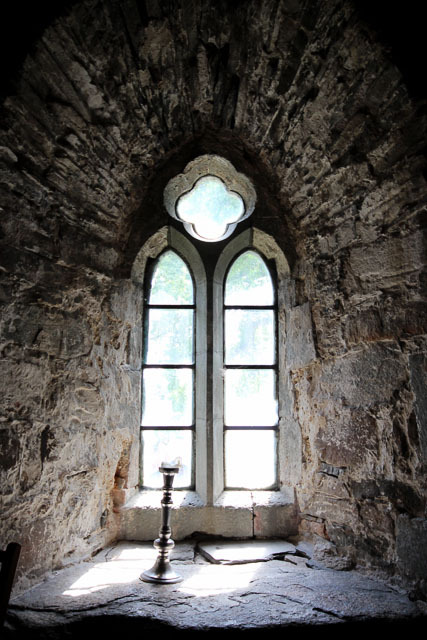 It's thought that it housed 9 monks and employed dozens of people to tend to the surrounding farms. 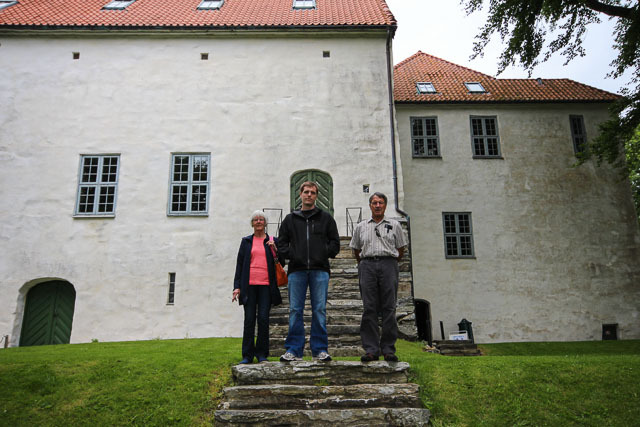 As far as monasteries go, Utstein and it's farm were considered quite wealthy and could feed 250 people. 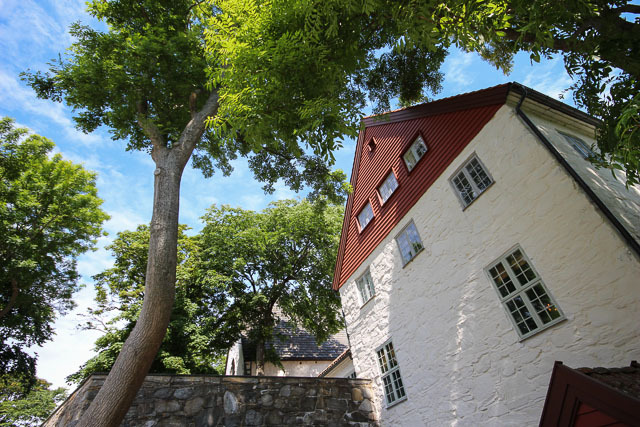 After the reformation in the 15th century, Utstein sat vacant and fell into disrepair until Christopher Garmann bought and renovated the property for personal use. It continued as a working farm until the 1930s but now is home to a museum. 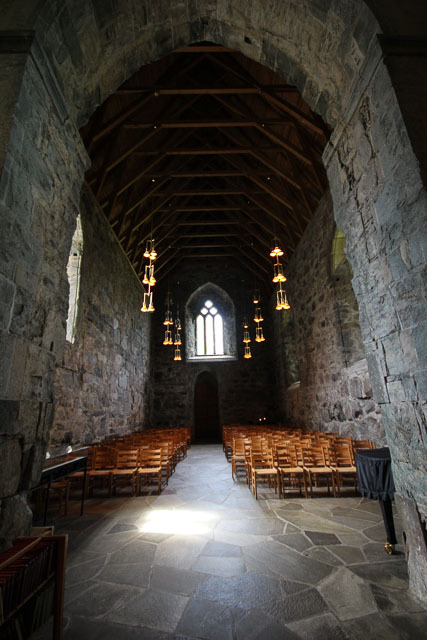 The museum and monastery are not particularly impressive on the inside. The site is small and there isn't a lot of information posted but my Mom purchased a small pamphlet and we toured the main rooms on the ground floor and then continued to the second floor which was set up as the Garmann home. The scenery alone makes it a great place to visit. 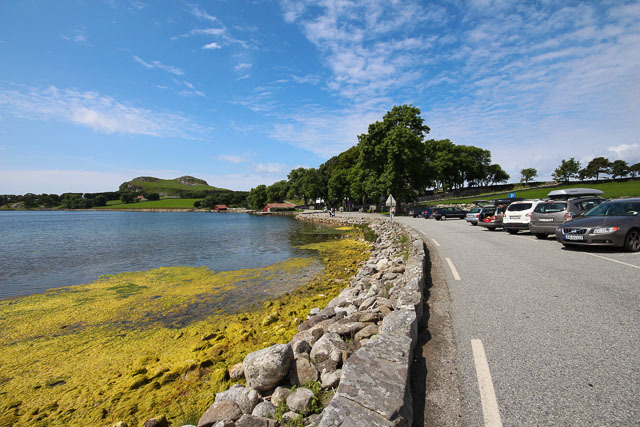 Located on the Mosterøy Island, the drive and the area are quite picturesque and should you happen to visit on a nice day, there are a couple of different walks to explore the area on foot. So pretty. 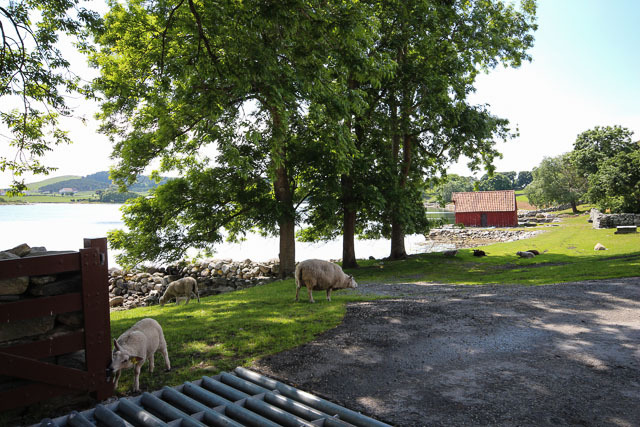 Fits all of my Norwegian stereotypes in terms of architecture, water and requisite wandering sheep. Love the family shot too. Looks beautiful and so peaceful! What a peaceful and serene looking place! it looks like a little miniature monastery! I think it's impressive in a way! it's not grand inside but it is very simply beautiful - to better to concentrate on worshipping, maybe? I love comments! Thanks for taking the time to leave one! These days, I'm replying to comments directly in the comment feed. Check back! experiences as we navigate life overseas. All content, photos & text, are property of "From There To Here" and cannot be reproduced without permission. Should you like to use something, please contact the author for permission.